Notes from Dan DiDio and Jim Lee publisher breakfast: Future stories from Scott Snyder, Alex Sanchez, and Steve Orlando – AiPT! DC Comics publishers Jim Lee and Dan DiDio talk about titles for the year to come. When you’re attending a press-exclusive event, you know you’re in for some major reveals. 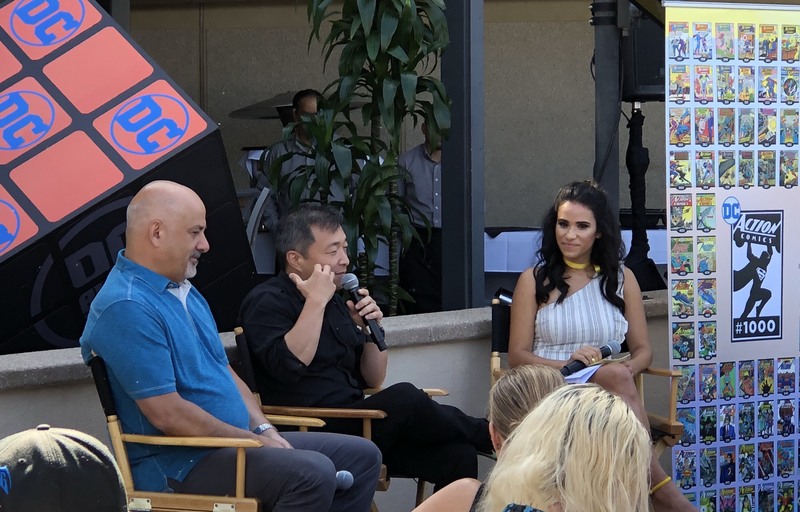 Dan DiDio and Jim Lee did not disappoint this year, at an event hosted at Roy’s restaurant right near the harbor pier. The event kicked off with DiDio going over the approach they are taking in the coming year and how their focus is all about breaking into new markets (like they are with Walmart) and to create new DC Comics fans for life. Three titles and their creators, Tom King and Batman, Brian Michael Bendis and Superman, and Scott Snyder with Justice League, were all staples that DiDio made quite clear are their icon titles. DiDio let slip a bit early that Kelly Sue DeConnick would be taking over Aquaman which we detailed in full earlier today. They also talked all about DC Black Labelt (more on that here). The breakfast concluded with a special celebration with a Guinness Book of World Records staff on hand. He was there to recognize the major milestone of 1,000 issues of Action Comics. GWR adjudicator Michael Furnari was on hand to present an official certificate of achievement to the Publishers.